With the start of the new year, I like clean slates. But at the same time, I also like to hone in on things that I find useful and beneficial so that I can use them to their full potential. This applies to pretty much everything in my life – food, beauty tools, food, technology, household needs, travel, and did I mention food? One of the most useful things for me in 2013 was social media networking, which led me to discover some really wonderful sites that I want to continue keeping tabs on in 2014 that I would encourage you to bookmark as well! 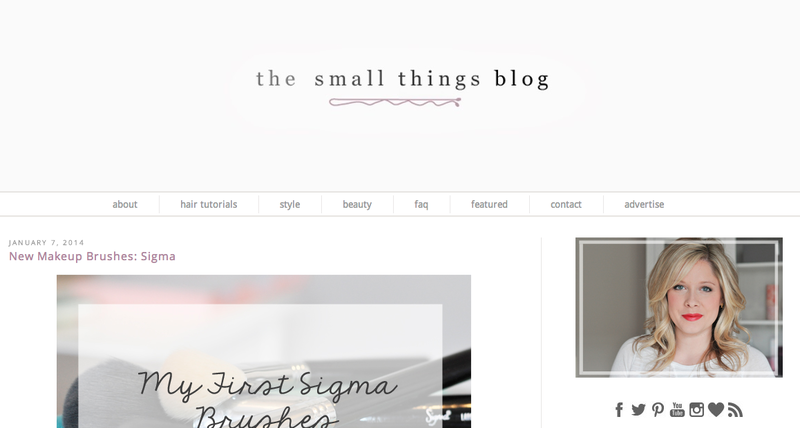 The Small Things Blog is run by the adorable Kate Bryan – an Illinois native now living in North Carolina – and she has been my go-to for hair style ideas and tips for beauty products I may want to sample. Because of her, I was able to do a few great updos for weddings and fancy events all by myself (well, besides the help of her video tutorials, of course!). She does a wonderful job of showing you each step and giving you enough detail to help you mimic her actions on your own hair. Mind you, she was a professional hairstylist up until the birth of her son very recently, so she really knows her stuff. She’s able to share the “insider” secrets in regards to product preferences and where to purchase them, and will even go the extra mile to give you the most comparable drugstore (or just generally more affordable) options. Kate also provides advice and reviews on other beauty products as well as clothing and accessories, and she gives you peeks into her personal life (disclaimer: lots of cats, and now baby pictures), and you get the opportunity to see what a lovely person she is. In addition to her own blog, she writes articles for Babble, pops up from time to time with new tutorials on RealSimple, attends blogging conferences, used to run an Etsy shop (now run by her sister Lauren) and is generally superwoman. I know, I know… I’m gushing. She’s kind of my blog-girl crush. Lauren is the sister of Kate Bryan and equally as adorable. She’s living back in my hometown (Chitown, what what!) and has plenty of style and beauty tips to share. Like Kate, she also has a couple cute cats that make frequent appearances and she is totally down to earth and relatable. 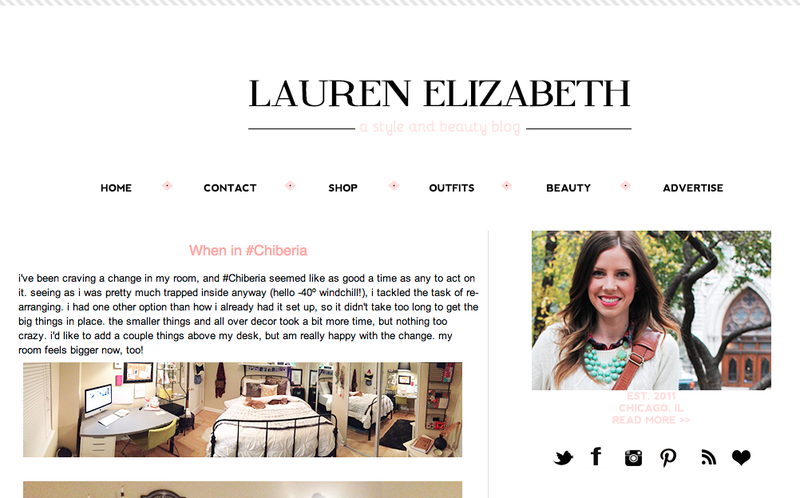 Her blog is a must-read for anyone interested in fashion or interior design – she has a great eye for both. She also runs an Etsy Shop called Elisabeth Ashlie Jewelry. I haven’t purchased anything from it yet, but I know I will soon. I can’t hold out much longer! 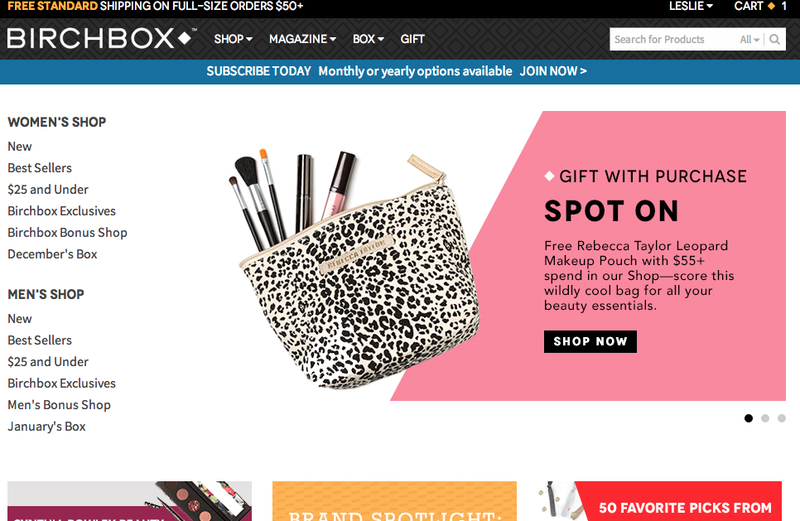 Surprise, surprise – I was turned onto BirchBox by Kate of The Small Things Blog. I’m really glad I signed up for their monthly subscription, because I’ve found a handful of great products that have been really beneficial to me (see here and here for a few). There have been some samples that I straight up can’t use for one reason or another, but I have enough female friends that have been more than willing to take those off my hands that it doesn’t feel like a waste! A) I can’t justify spending money at. B) Aren’t in my area that I crave so deeply it causes me to lose sleep. C) I could spent bagillions of dollars at, but due to not being a bagillionaire… I can’t. 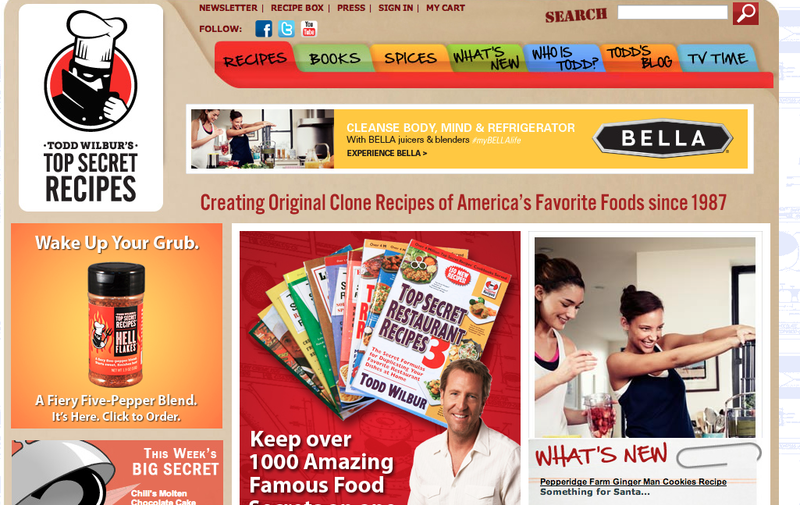 For these reasons (and the fact that I just can’t justify spending much money on eating out) I am always searching for copycat recipes of my favorites meals. This is like the holy grail for me. You heard me talk about BarkBox in my previous post so I don’t really need to say much about it here. It’s BirchBox for dogs, which is an awesome way to try out new products each month to see what you and your faithful companion love (or maybe don’t love, in some instances). It’s delivered to your home once a month and leaves the guesswork and analysis over what new toys and treats to try up to the fine people at BarkBox. 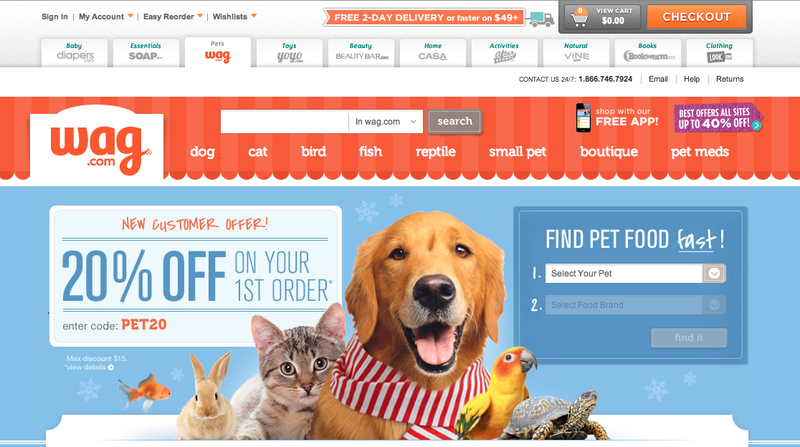 Wag.com is part of the Quidsi family of sites that includes Soap.com, Casa.com, Vine.com, and more – the only other site I’ve used is Soap, but I loved the experience (and the boxes they deliver product in are adorable). They have pretty much anything you’d want for your pup (or other kind of pet) that you can have shipped to your home – even medications. Plus, much like BarkBox, I can offer my friends a 20% discount off your first order with them if you use code LESL4828 when you checkout. 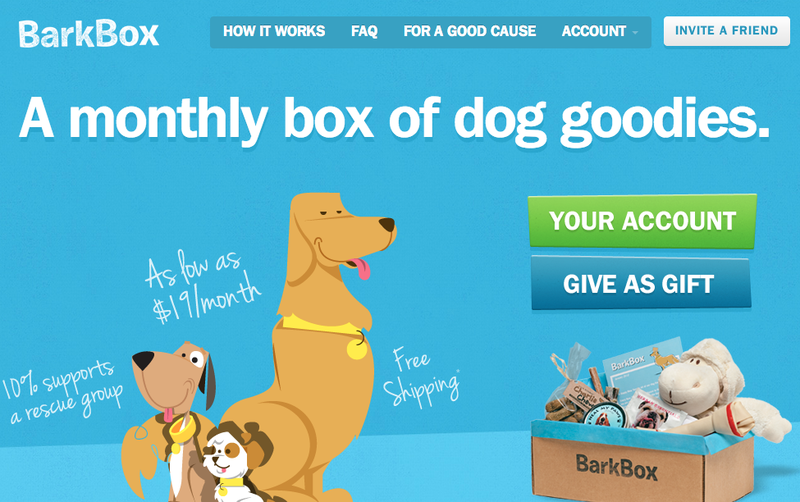 Also similar to BarkBox, I get to either apply a $5 credit for each referral to my own account, or I can donate it to a charity of my choosing. Help me help others and order today! You know you have your eye on something for your pooch.